Bitcoin address represent receiver of funds,it look like bank account. The address produced from public key. The output of fixed bit width is calculated from input. Always certain output calculated from certain input. It is also called one-way function,The input can't restoration from output. Theoretically, there is the possibility that the same output can be acquired from different inputs. Bitcoin used SHA256 and RIPEMD160 hash functions that are designed so that 「collision」 unlikely. 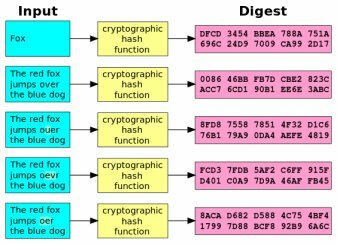 It's also call「Double hash」,Calculate hash value bySHA256andRIPEMD160. Checksum is used error check of data transmission, record, replication. Most simple error detection function. The decoding software calculates checksum of encoded data,And compare with the included checksum. If the two do not match, this indicates that an error has been mixed or that ths invalid. Encoded data restore to original form. For example,when binary data is converted(decode) from hexadecimal to decimal. you look at a character string unit by one character, it can be regarded as Base256 notation. So each data multiply by 256, add to next data ,Repeat this. The orignal fomat convert to different fomat. →From remainder of argument "val" specify element of argument "code_string". →It stores bytecode of Base 58 to "result_bytes" in order until "val > 0". →Convert numbers to strings and coupling them. Base58check encoding specially made for Bitcoin. It use when necessary to convert binary string into format that can be read and written by a person. Bitcoin's Base58 alphabet as shown below. Only added one line to the "checksum" code of above. → The binary data(Add B behind A) replace from hexadecimal to 58-ary. →It is necessary to record empty byte of leading. →So put "1" as many as number of empty bytes in head.